Our names are Edgar Alaniz, Yuki Gonzalez, Omar Soufan, and Ibrahim Mohammad and we are all undergraduates students at the University of Rochester. We are the winners of the Simon School of Business - Hult Prize regional qualifying competition. We formed Team Meliora because we want to start a company that can provide sustainable housing for refugees. Help a group of friends and ordinary people just like you try to change the lives of thousands of refugees around the world, starting in Lebanon. Lebanon has one of the highest refugee population densities. One out of four people in Lebanon is a refugee, about 1.1M people. This house was built with bricks made out of recycled plastic. The conflict in Syria continues to take people from their normal lives to Lebanon and other countries empty handed. Imagine you were forced to move away from everyone who recognized your level of education and your rights, places where you had at least some sense of security, and lost everything. Imagine that in your new insecure place you have to live in poorly insulated tents, work underpaid jobs and rely on international help to make ends meet. 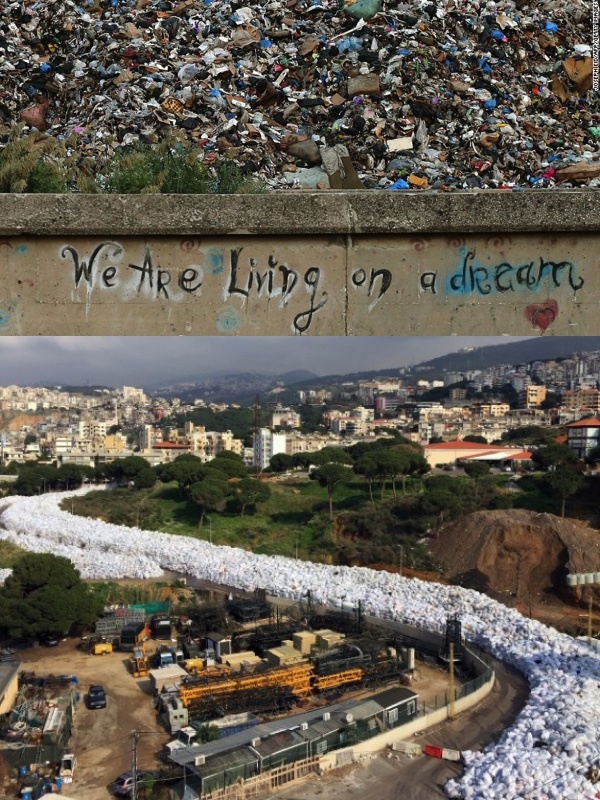 Lebanon not only faces challenges dealing with refugees, but also with solving a national trash crisis. Earlier this year, the country exhausted two main landfills that served close to 50% of the population. Two tons of untreated solid waste formed rivers of trash across Beirut. The government does not have a viable solution to create an integrated solid waste management system. 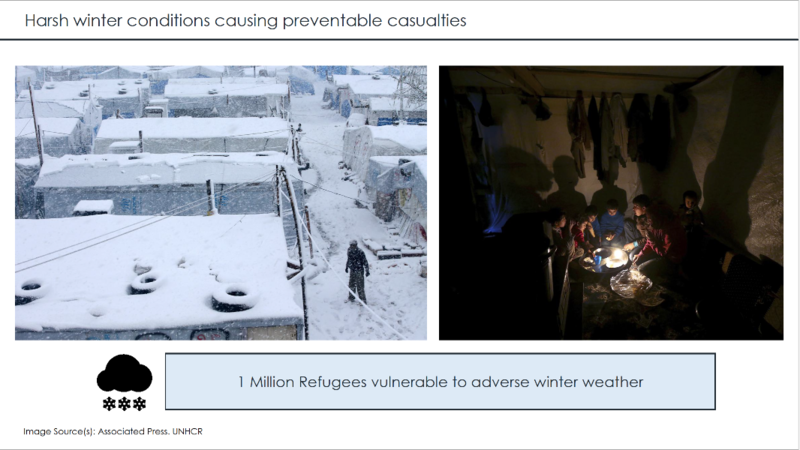 Meanwhile, refugee lose their lives in the harsh winter. Their unemployment rate is close to 30% compared to only 6% for Lebanese locals. We plan to change the lives of refugees by creating a company that can build houses out of recycled plastic. This technology exists and is changing the lives of many people in Colombia. Conceptos Plásticos is a Colombian company that developed the technology, and we are partnering with them to take their solution to Lebanon. A successful implementation there can open doors to replicate the solution in comparable countries such as Egypt, Turkey, and Morocco. One of the biggest housing projects done by Conceptos Plásticos in Colombia. We call ourselves Team Meliora, after our school’s motto, meaning “ever better.” We are well suited to design and implement this positive change in Lebanon. Omar Soufan is Syrian and has been helping Syrian refugees throughout his undergraduate career by setting up prosthetics clinics along the Lebanese border. Ibrahim is Palestinian, but grew up as a refugee in Lebanon and has worked with Omar to increase the impact of the clinics. Together they have helped over 100 refugees already. Just as Omar and Ibrahim, Edgar and Yuki have both received generous scholarships to attend the University of Rochester, and feel a deep sense of personal responsibility. They wish to utilize the skills, knowledge, and resources Rochester has given them to give back to the global community. Edgar and Yuki are both native Spanish speakers and have been instrumental in establishing a relationship with the Colombian company, Conceptos Plásticos. From diverse backgrounds, our team shares a commitment to giving back and genuine care for other people. 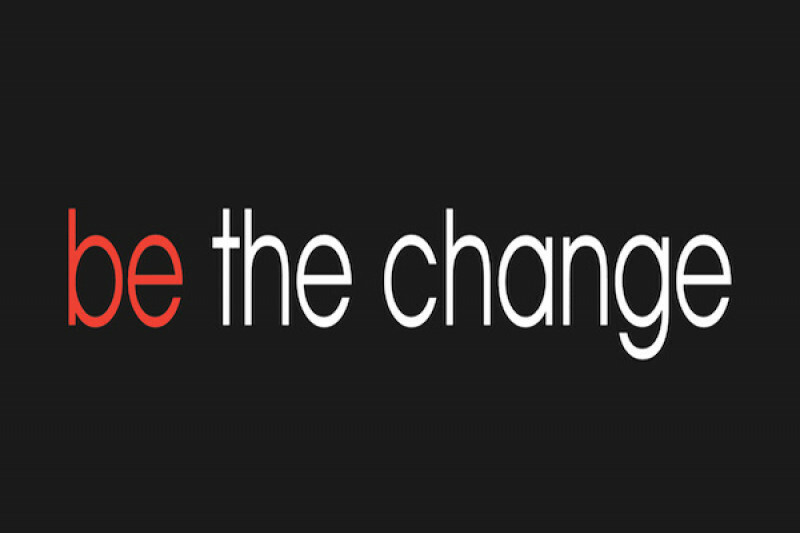 We know that we can transfer a viable solution from one continent to the other. The funds will be distrubuted to the personal bank account of one of our team members- Edgar Alaniz- who is the financial administrator for our organization. 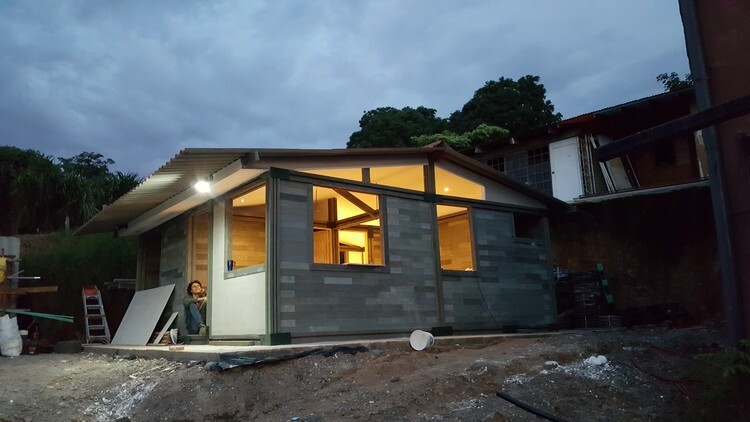 Any money raised above our fundraising goal will be used to ship one house from Colombia to Lebanon. This goal depends on Conceptos Plásticos’ capacity to manufacture an extra house or to delay pending orders in Colombia. We expect it will cost $8,000 to ship the house bricks. Achieving this would mean that we could document the reception and impression of refugees on this innovative idea. 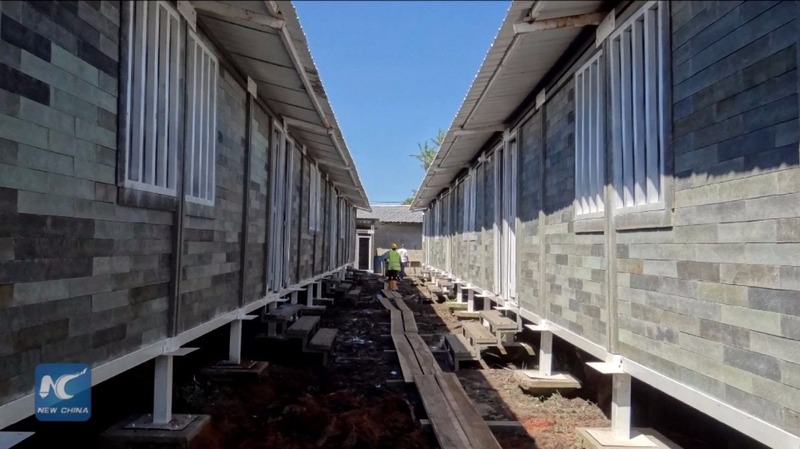 It’s one thing to show them pictures of the houses we would like to build for them, and another to have them live in one and help to guide any changes to the architecture based on their needs. Here is a link to the slide deck we used to win the Hult prize competition at the Simon School of Business at the University of Rochester. Your donations will bring us one step closer to changing the lives of many refugees across the world. Good luck with your competition! I love the concept and hope it takes the world by storm.